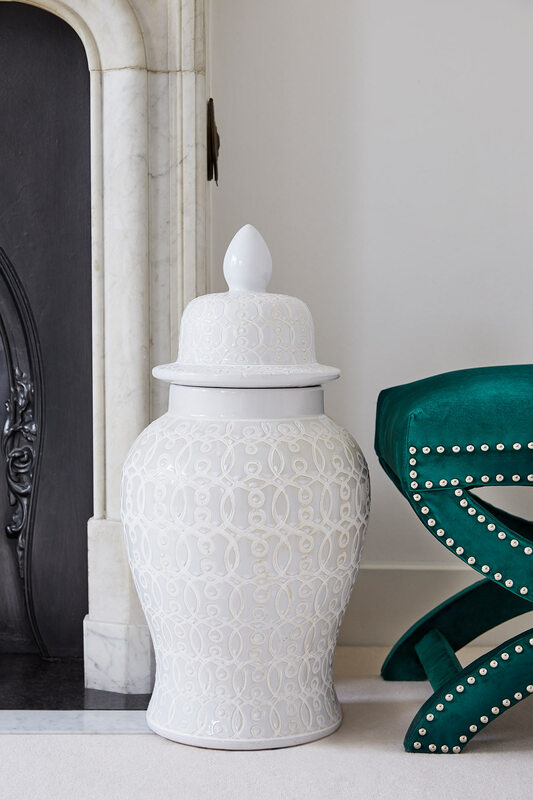 Ginger jars were originally used as storage vessels for spices in ancient China, but the utilitarian aspect disappeared when they instead became popularised in 17th Century Europe for their beautiful shapes and patterns. 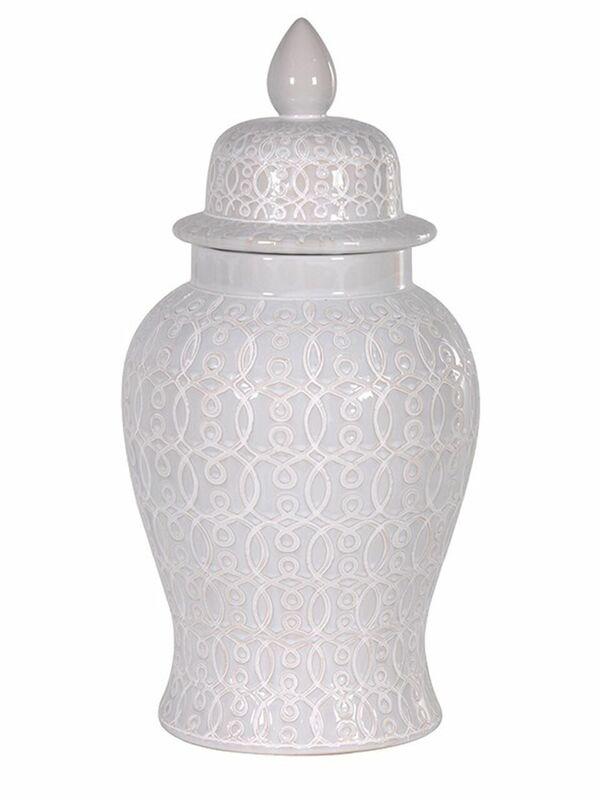 Our stately Welby Ginger Jar continues this tradition with its grand size, sleek shape and refined pattern in soft grey and white. 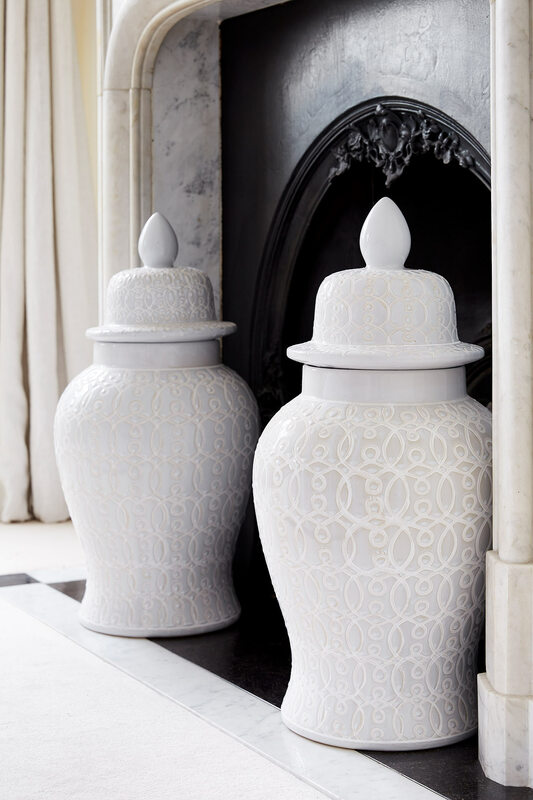 Splendid on an occasional table, mantelpiece or either side of a doorway or fireplace, it is clear why these fabulous jars have long been coveted and admired. Please note: Due to the traditional drying process of the Welby Ginger Jar, there may be slight pooling on the glaze finish. 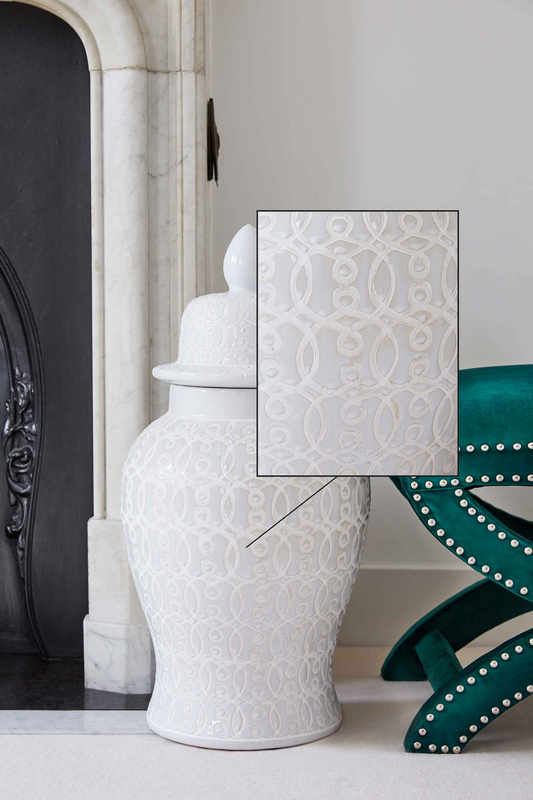 This is a unique design characteristic of the product.